That means the health department will continue offering medical testing for HIV and Hepatitis C as well as allowing addicts to exchange dirty needles for clean ones through this time in 2020. 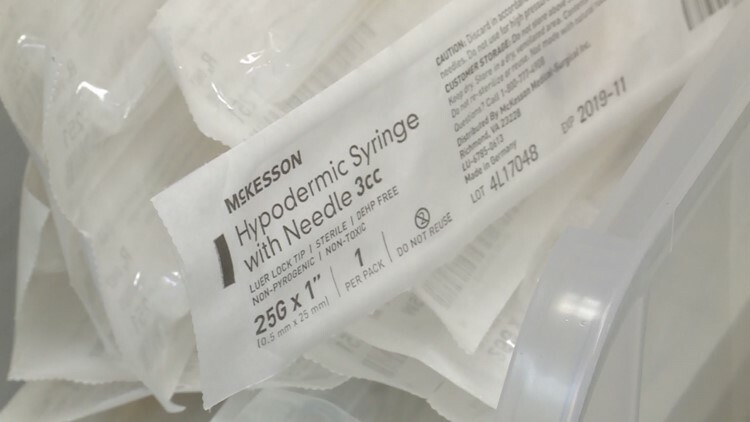 LOUISVILLE, Ky. (WHAS11) – Clark County, Indiana commissioners give the go-ahead to extend the county's needle exchange and syringe services program for another two years. The Clark County health officer tells WHAS11 News the number of countywide deaths attributed to drugs have decreased since 2016 – going from 89 that year to 53 in 2017. The county is on pace to have around 40 this year. The number of ER visits related to needle use has also dropped from 182 in 2016 to 171 last year to being on pace for around 120 this year. The Clark County needle exchange is funded through private donations or state grants. No county money is used to pay for the program.